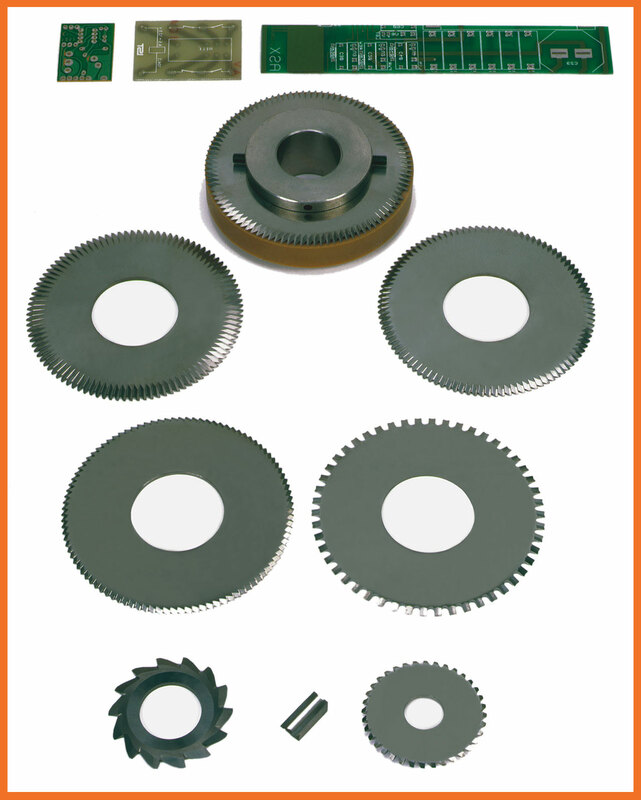 These tools are part of our range of circular mills. 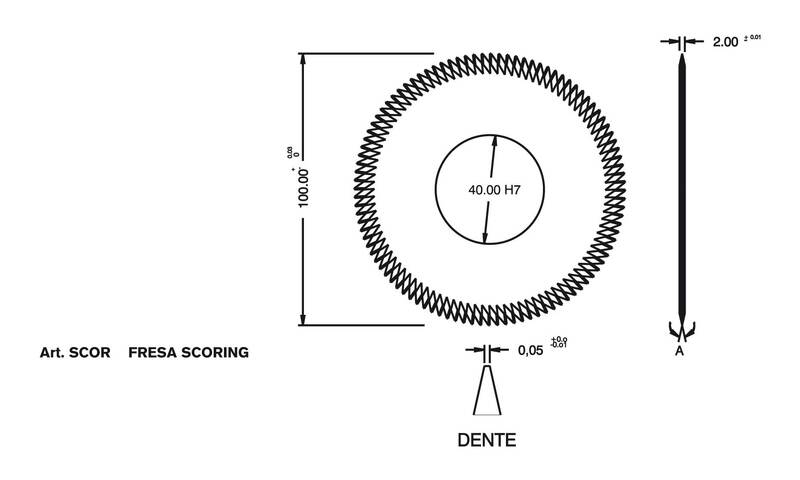 they are better known as scoring mills by printed circuites constructors and they usually are standard for dimensions like: diameter- holeteeth number.. angle also is normally 30°, but we make 15° and 20° vertex too, to be able to execute a tighter cut even in bigger deepnesses. This was born from the exigence of cutting plates between tracks far not longer than 0.4/0.5 mm. Table on page can help you for the choice of the most angle suitable to working to do according to milling deepness. It is set with the milling cutter on bearing journal box and its function is to drag and drive the plate during cut. 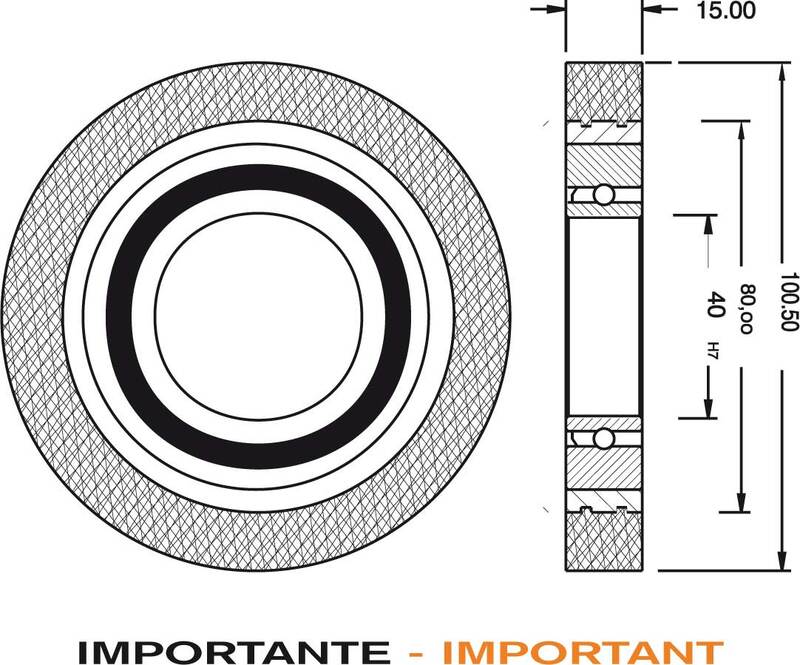 Even in this case we have a dimensional standard for geometry and for rubber hardness. (standard 50 shore). It happens sometimes that the user constructs the machine according to his needs and expecting tools different for dimension from the ones named above. even in this case our experience may satisfy your exigence of a tool to measure, for cutters and rollers as well. If you are interested leave us your details. We're reaching us !! !